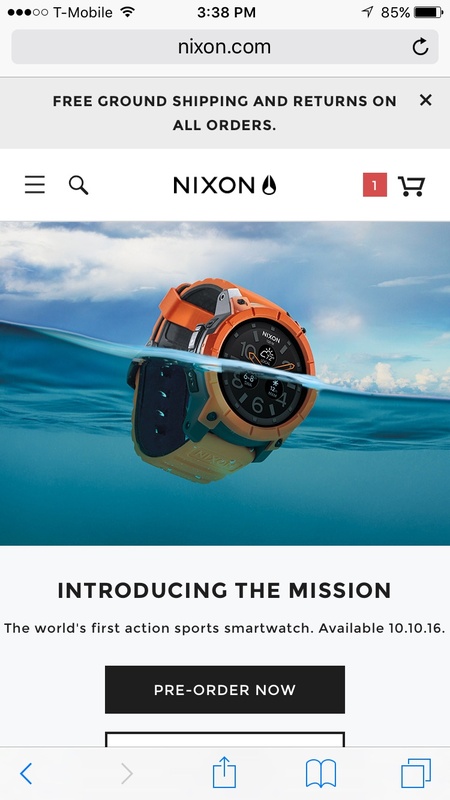 Take a look at five examples of excellent mobile design from ecommerce websites. Learn what makes their mobile design great. After a promising message from Jack on her eHarmony profile, Jill dresses in the customary little black dress, ready to tackle that dreaded first date. She walks into the overpriced restaurant, spotting Jack almost immediately. Only, Jack doesn’t have that alleged six-pack. He is a half-foot shorter. And, he is definitely not a semi-professional tennis player. Jill has been mislead. And, with that, Jill quietly turns back around and leaves. As consumers, we go on a slew of ‘first dates’. Like lovesick teenagers, we flirt with and ultimately dump numerous brands, looking to fall in love with that special one. And, as technology becomes the keystone to our everyday lives, dating or interacting with brands has never been easier. We are able to experience a brand through a traditional brick-and-mortar store, a seamless website experience and social media accounts. Advancements in technology have caused an explosion in mobile. By 2020, mobile e-shopping is expected to account for $284 billion in worldwide sales. In fact, mobile eCommerce trends show that shoppers are using mobile devices in new ways to interact with brands and purchase their products. Still, many brands have mobile websites that do not accurately reflect their brand. Instead, they ignore mobile-specific UI/UX issues, designing clunky, unusable mobile versions of their desktop sites. This results in low conversion rates, less positive interactions, and some frustrated consumers. Like Jill, consumers will form a first impression of a brand in mere seconds. And, when faced with a brand not living up to certain expectations, they usually abandon it. In fact, Malcolm Gladwell, in The Tipping Point, states that people will form an impression within the first two seconds of interacting with that person or brand. Therefore, every brand must treat any outlet, be it a mobile website or a social media account, as a ‘first impression’ at the start of the first date, enticing the recipient to get to know their brand. Keep reading for a little inspiration! Not only did the desktop site win the Webby’s eCommerce website of the year, but the mobile version is also a beautiful piece of design. With a minimal color palette, crisp product visuals, and helpful icons, the path to purchase is quick and easy. 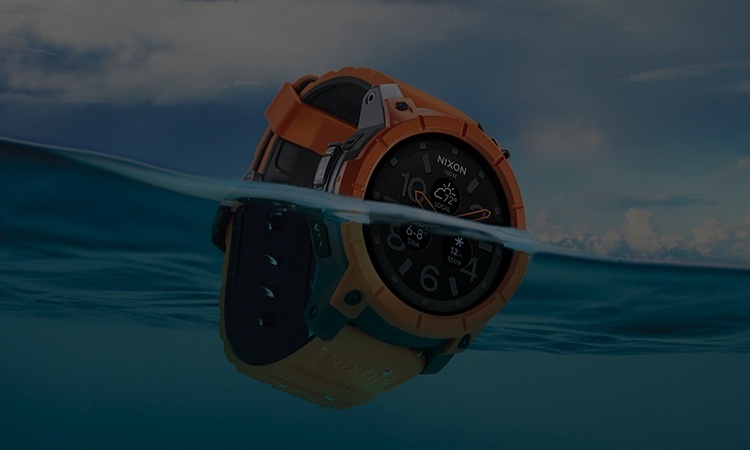 Additionally, the photography helps to enhance the brand, establishing a lifestyle around Nixon. More than 92% of consumers believe that visuals are the top factor that influences a purchasing decision. 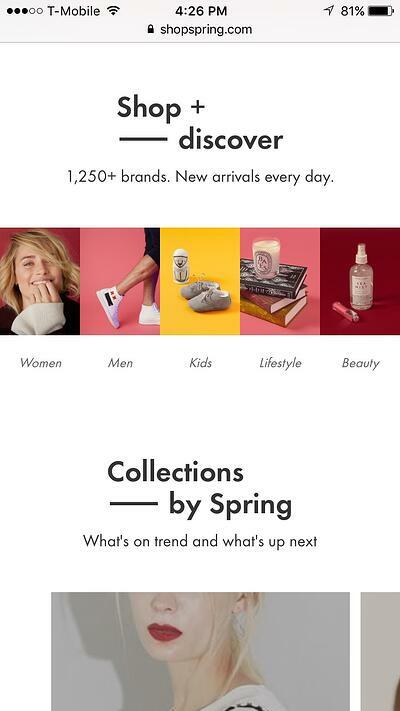 And, with an Instagram-esque feed of products, this website capitalizes on all things visual. This mobile website is also successful with its ‘filter’ feature. It could not be easier to categorize, view and buy a product. Back in high school, my design teacher used to drill KISS (Keep it simple, stupid) into our pubescent heads. Since then, I have always appreciated minimalism. ETQ Store is a true champion of all things minimal. With great product photography, a monochrome color palette, and very little copy, this website has been stripped down to the essentials, mirroring the minimal style of its products. 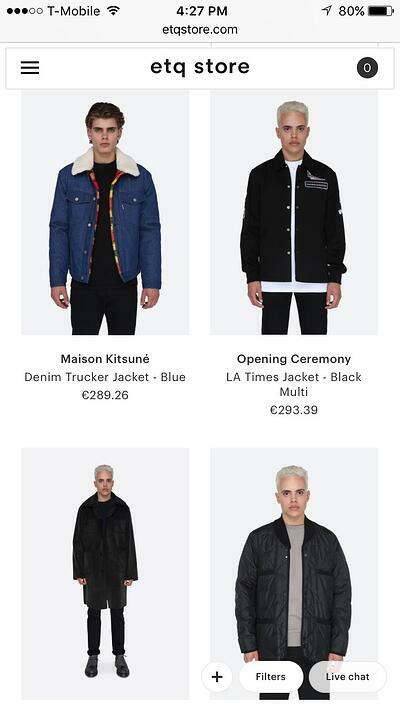 Additionally, its ‘Instastore’ section helps to establish a lifestyle around the products, helping consumers ‘buy into’ the ETQ brand. Oh the pains of flying! However, this site makes flying a little less painful. With optimized features, such as an easy selection of your seat, booking is as easy as pie. One of the beautiful components to this website is the lack of clutter. Virgin America does a great job of using bold colors, icons, illustrations, and some witty copy to make the average disgruntled flyer a little happier. 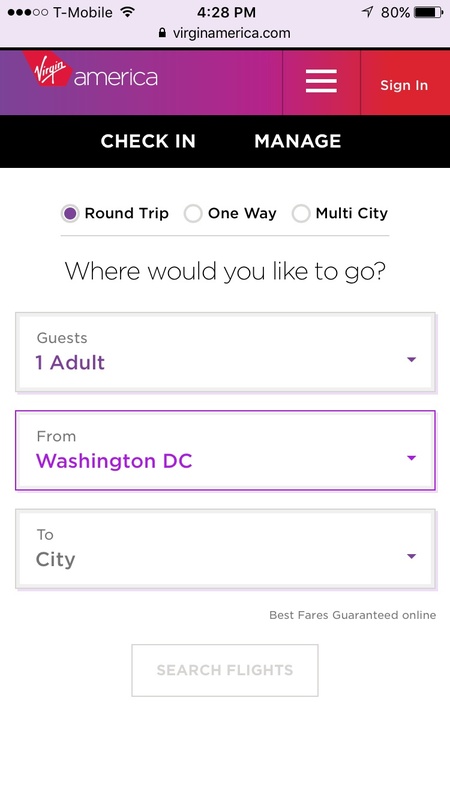 Additionally, Virgin America has just unveiled a mobile app for your phone, piggybacking on all of the great mobile features. Remember when your mom told you that there was no skateboarding in the house? Well, this mobile website gets you one step closer to doing just that. 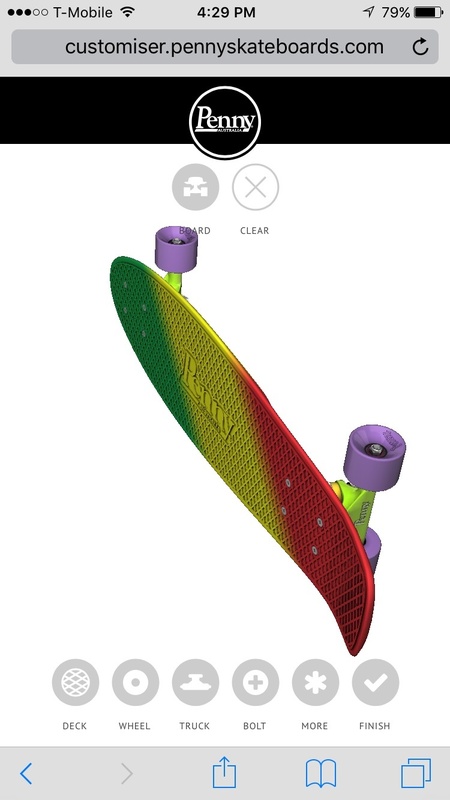 With an optimized 3D customizing tool, a consumer is able to create their very own Penny Skateboard from the comfort of their own phone. Simple icons and a quick path to purchase round out this mobile site. All of these mobile eCommerce websites are successful because they have identified and solved mobile-specific issues. 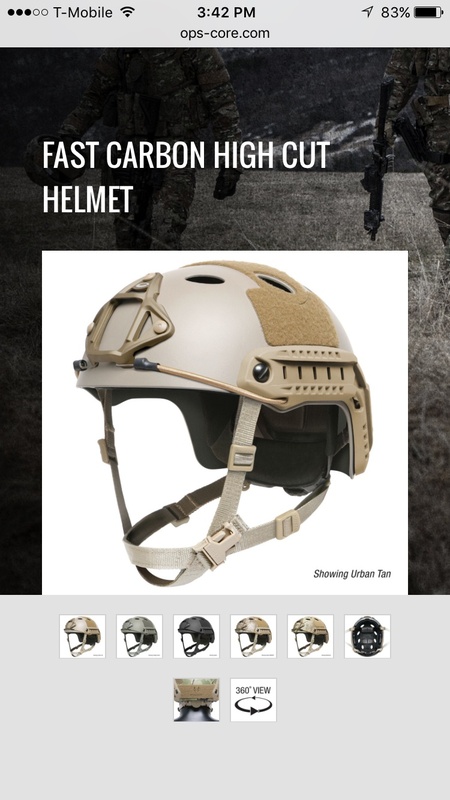 Here at Groove, one project that taught us a lot about mobile design was our work with Ops-Core, a helmet system design provider. We learned how to create easily digestible content and simple navigation, while maintaining Ops-Core’s brand identity. Our team of designers and developers are experts in mobile optimization. Let's get started!